- Chester L. Karrass, Chairman of Karrass (the largest negotiating training organization in the world). A contract is a legally binding agreement between two or more parties that outlines the rights and responsibilities of each party. Contract law generally dictates that an enforceable contract exists when the material elements of the contract have been negotiated and agreed upon by the parties. Material elements are the heart of the contract, the deal would fall apart if these things were not decided. For a lease negotiation the material elements would include things such as the rent amount, the duration of the lease, or the location of the property to be rented. An example of a non-material element would be whether the rent is paid by check or cash every month. Beware! In most jurisdictions, oral contracts are just as valid as written contracts as long as both parties have negotiated and agreed upon the material terms of the contract. There are some exceptions to this general rule. For example, you always need a written contract to sell or transfer parcels of land. 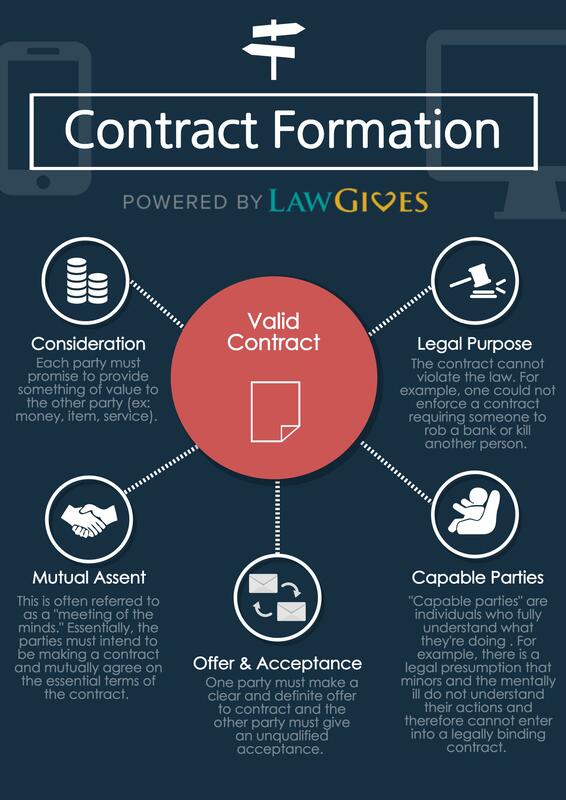 Contract negotiation is the process of give and take that the parties go through in order to come to a mutually agreed upon set of rights and responsibilities. 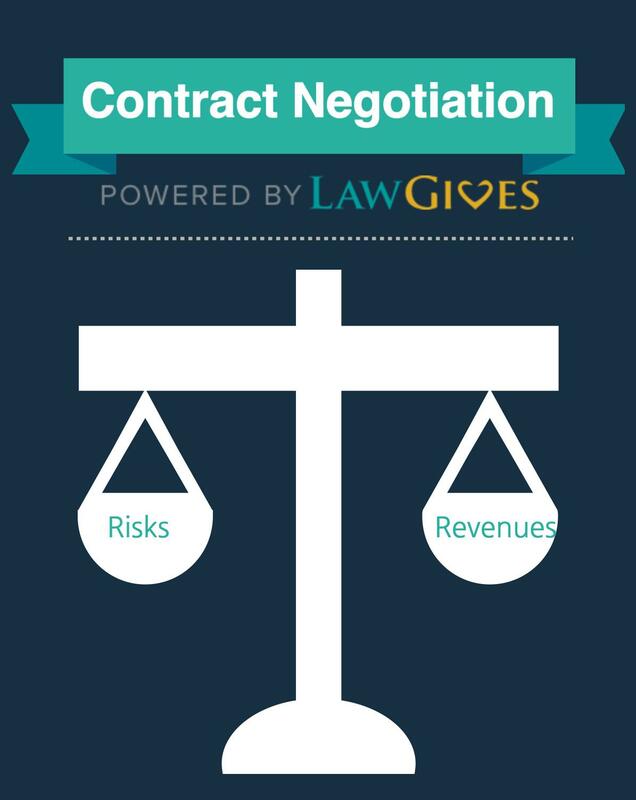 Contract negotiation can be distilled down to one goal: balancing risks and revenues. 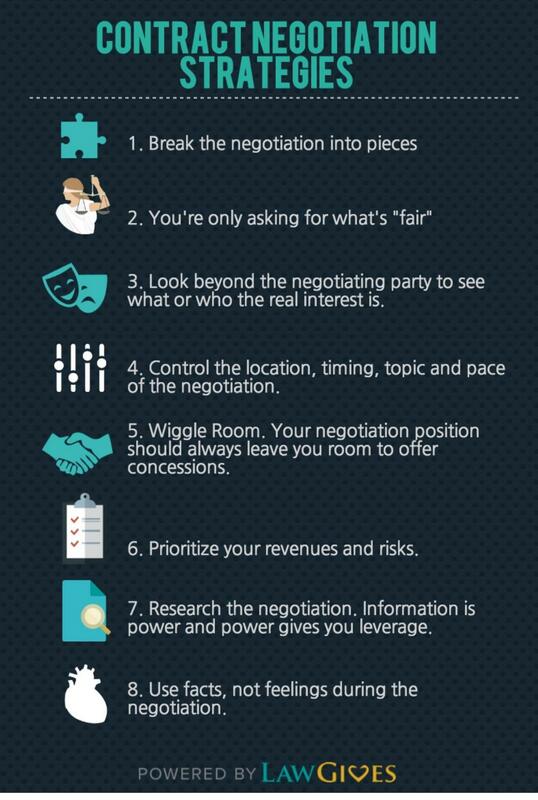 In a typical contract negotiation, each party will need to compromise on some issues while remaining firm on others in order to ensure that that they get what they truly want. The example below represents the typical residential lease negotiation that must occur between a landlord and a prospective tenant. In that engagement, the landlord needs to ensure that they are entering the negotiation with clearly defined goals. In this case, the landlord must decide whether they would prefer to have a low-risk tenant that comes with strong recommendations but will only agree to a one-year lease for a lower rental price or if they would prefer a tenant who pays more but is high-risk. 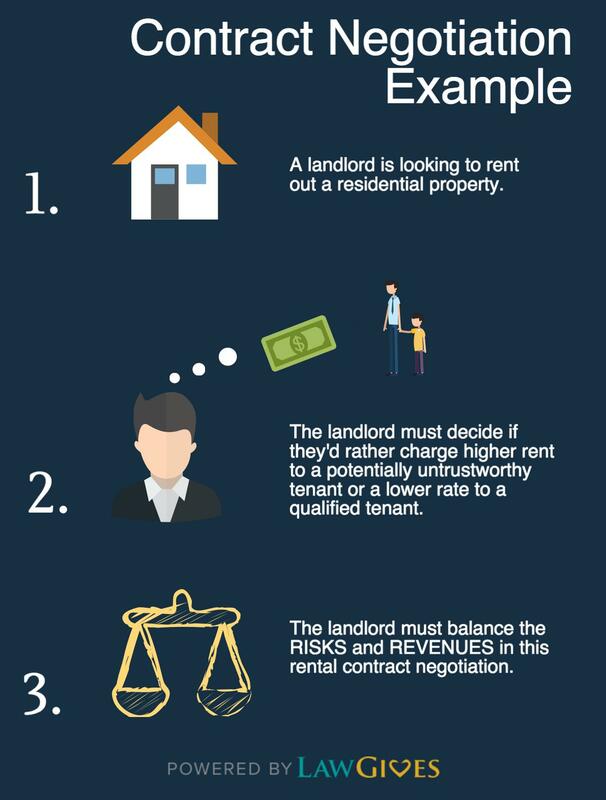 At it’s core, the landlord must balance their individual risk and revenue threshold. It’s important that both sides are engaging in the same risk and revenue balancing. The prospective tenant is also doing an analysis of how much the rent will cost them versus the likelihood of the landlord being prompt with things such as maintenance requests.